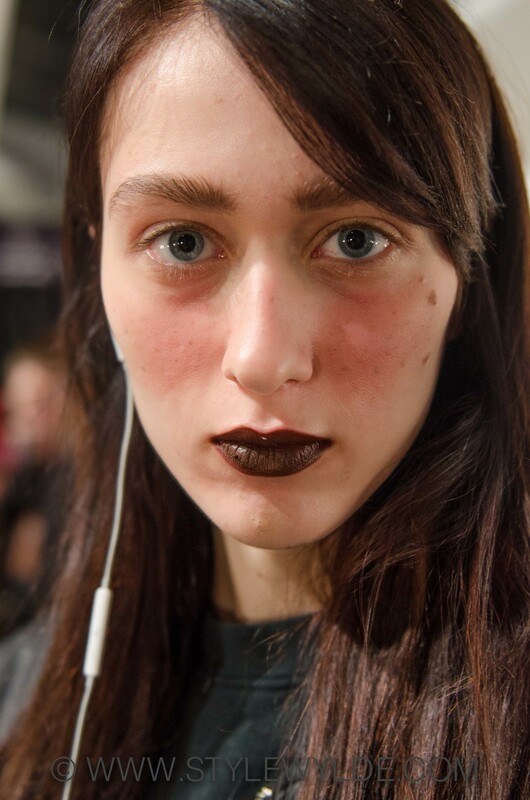 The inspiration for beauty at the Skingraft Fall 2014 show was "Siberian Empress", a gorgeous dark fairytale the look that was highlighted with rosy cheeks a deep burgundy lip, and a smattering of freckles across models' cheeks. Executing this dreamy look were the pros from Stila Cosmetics lead by celebrity artist Sarah Lucero. Products used included: Stila cc Color Correcting Cream, Stila Color Balm Lipstick, and Stila Cherry Crush Lip and Cheek Stain. Click on any image below to launch light box viewing. 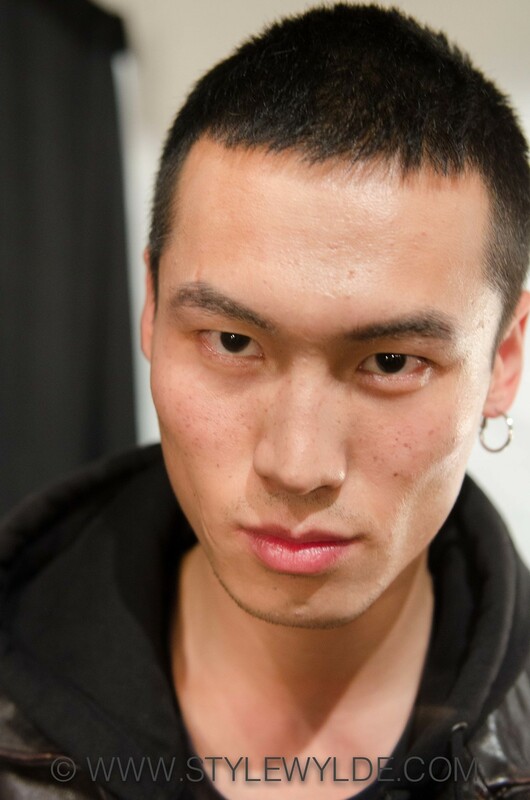 For more from the Skingraft Fall 2014 collection check out the full runway recap from the show here.